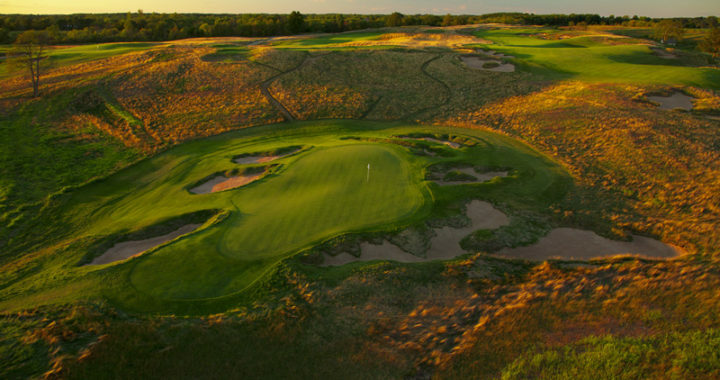 Like Chambers Bay in 2015, Erin Hills is a first-time U.S. Open venue and a relative unknown to the pros as it has little tournament history. It hosted a U.S. Amateur in 2011 as a preparation for the Open. The heavily bunkered, tree-less course, which opened in 2006, by description sounds comparable to Oakmont, last year’s U.S. Open venue, where Dustin Johnson’s length and short-game prowess powered him to a break through major championship. That win catapulted Johnson to the most dominant stretch of his career and the world No. 1 ranking. That momentum was stalled at the Masters after a freak fall caused him to withdraw with a back injury. Can he return to form on a course that will play to his strengths – namely length? Or will another big bomber raise the trophy? Today we start to find out. Here’s a look at the leading storylines heading into the first U.S. Open ever in the state of Wisconsin. The knowns are these: the rough is thick and the course is long, because that’s what a traditional U.S. Open setup is. But practically everything else about the longest course in U.S. Open history (7,741 yards) remains a mystery. The pros will be using their practice rounds to get used to the new layout and particularly its treacherous bunkers, of which there are three types, the nuances of its rolling terrain and the sight lines for a number of blind semi-blind approaches. The course is such an unknown that ESPN golf analyst Andy North, a Wisconsin native, gave a 30-shot range for predicting the winning score. “We really don’t know if it’s going to be closer to 15-over or 15-under,” he said. Of note: the last major played in Wisconsin, the 2015 PGA at Whistling Straits, saw Jason Day post a major championship scoring record of 20-under. Will someone solve Erin Hills and go on a similar birdie binge or will it be a week that sees a barrage of bogeys? We seem to have a true wildcard course on our hands, but there’s no such mystery about the favorite: It’s Dustin Johnson. There hasn’t been repeat champion at the U.S Open since Curtis Strange defended in 1989. Will the 117th Open see Johnson snap that streak? The fairways are reportedly twice as wide as the ones Johnson dominated at Oakmont a year ago, so the set-up is friendly to his prodigious length, but it’s his improved wedge and short game that has really been the game changer for his 2017 dominance. Johnson, however, hasn’t seemed to have quite the same sharpness since returning to competition after the Masters. He missed the cut at his last event (the Memorial), but some analysts viewed that as a blessing in disguise because it allowed him to get a head start on his Open preparation. We’ll soon see if that extra preparation pays off and Johnson can reclaim the dominating form he had going into the Masters, before which he had reeled off three straight victories. If D.J. is right, are you betting against him? His putting has improved as well this year and he’s part of a Tour trend. Rory McIlroy is the latest to add a mallet putter to his bag in a last-minute equipment change this week. The mallet is becoming the preferred style on Tour. Putting is always key, but a hot putter could really get on a roll this week due to the impeccable course conditions. 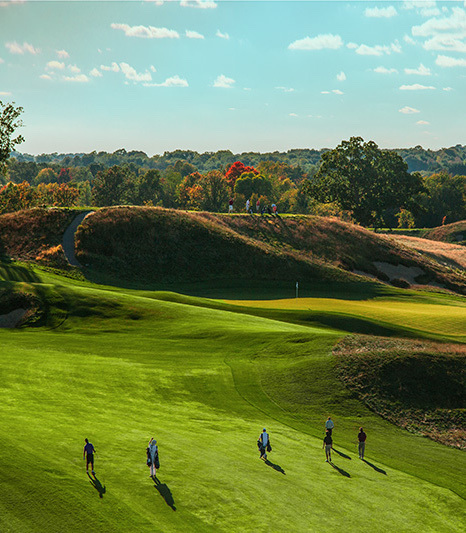 Erin Hills has been closed since October to ensure premium conditions for the Open, especially on the greens, which, unlike Chambers Bay, are yielding compliments from the pros. The pros who figure out the greens the fastest could gain an early edge. Martin Kaymer solved Pinehurst once by putting from off the greens. That option isn’t available this week, but steady putting will still be crucial. Who will wield the magic wand that will lead to victory this week? Will it be a past major winner or a championship newcomer like it has been in the previous six majors? Break On Through, Part 7? Sergio Garcia’s win at the Masters pushed the streak of first-time major winners to six. Can another first-timer get hot and continue the streak? Rickie Fowler? John Rahm? Justin Thomas? Understandably, the Tour’s top bombers dominate the list of favorites. Will one of them prevail if D.J. can’t recapture his A game? If bogeys abound, it could turn into a real scramble (think British Open) and the bounces could favor another first-timer. Before D.J., the previous three U.S. Open winners were Jordan Spieth, Martin Kaymer, Justin Rose. Rory McIlroy is also a past champion and the holder of the Open scoring record, 16-under in 2011. Rose is on something akin to a major hot streak of his own. He finished runner-up to Garcia at Augusta and previously won the gold medal in the Rio Olympics playing under course conditions that sound a bit similar to what he’ll be facing this week at Erin Hills. GolfWeek actually has Rose listed as its No. 2 pick behind D.J. and ahead of Jason Day to raise the trophy this week (that’s a TaylorMade trio, by the way) and then rounds out its top five with Spieth and McIlroy. Will one of the favorites prevail or will major-victory rookies resume their rise at the majors? We’ll start to get some clues when the major fun begins on Thurs.